As a new parent, it's hard to decide what to introduce to your baby first. What song should be baby's first song? Will it make a difference in their personality if they listen to the smooth sounds of the Beatles rather than the nineties music you played while they were still in the womb? Then there's food. When they graduate from milk, what should they taste first? Do you feed them the well-balanced baby food from a jar? Or should you get sentimental and feed them a fingerful of your mom's delicious homemade refried beans? The thing is, parenting is like finding your way in the wild. While there are dangers and pitfalls, like walking into a snake pit or waking Baby up before naptime is over. There is no map. You and baby need to find your way through this wilderness all on your own. 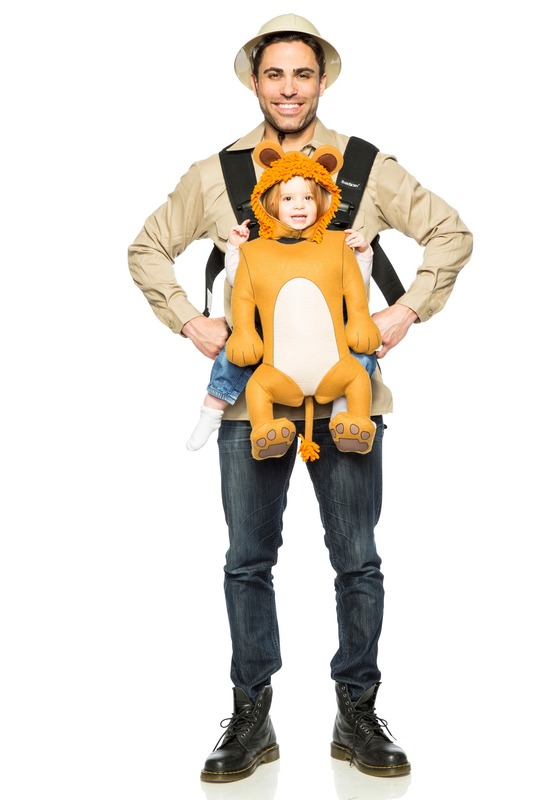 Celebrate your first Halloween together by embracing the adventure with this Safari guide and baby costume. No need to make your little one struggle to stay in a costume when you'll be sticking them in the front carrier all night anyway! 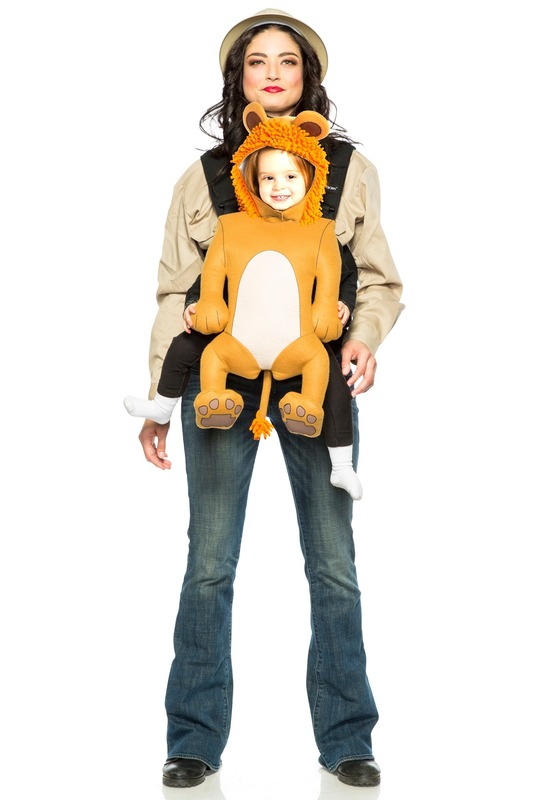 This stuffed lion will make it look like you're carrying a lion cub around all night while your little one remains comfortable in their own clothes. Meanwhile, you'll look ready for whatever the wild throws at you in your own khaki shirt and professional looking guide hat. You never know what you and your little one will see in your life together. Maybe your trips to the zoo are just a start and you'll both be gazing at giraffes on the plains of Africa years from now. Life is long and winding and you can never know what you might see along the way. So gear up for this Halloween adventure, we all know trick-or-treating gets you the sweetest souvenirs.